At Mena Regional Health System, we are dedicated to helping patients get past the hurdles and back to their lives, returning to work, family, active retirement or independent living. The Inpatient Rehabilitation Unit implements a team approach, offering individual one-on-one physical, occupational and speech therapy, 24 hour nursing and case management. The skilled nursing staff are under the direction of a medical director who specializes in rehabilitation. Hospitalists and psychiatrists are available as needed. The unit offers comfortable, spacious rooms designed to maximize each patient’s rehabilitation potential. Therapy areas are conveniently located within the unit. Because each patient is unique, our dedicated team individualizes every patient’s care, taking into consideration that everyone has different needs and progresses at a different pace. Referrals can be made by physicians, patients, patient’s families, discharge planners and health professionals. Patients meeting admission criteria can be admitted from home, clinic, assisted living or hospitals. 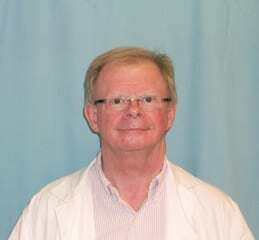 Medical Director is Dr. Brad Short. Dr. Short is a specialized board certified Physiatrist with over 20 years of experience. The goal of rehabilitative medicine is to improve a person’s functioning, mobility and independence, thereby increasing the quality of their life.